Here is another review coming from the Blind Tasting trade I participated in not long ago. If you haven’t participated in a trade like this, it can be a real eye-opener and a fun time. Try organizing one with some local friends, you’ll be surprised at what you think of a cigar when your pre-conceptions are thrown out the window. If you need more information on how to organize one just drop me an email, Twitter DM or a comment below. 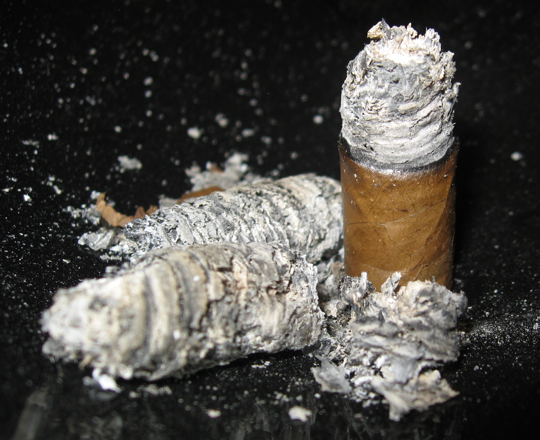 Part of the rules in the Blind Trade was to include two budget cigars. There was no indication of which were the budget cigars were. I thought this was a good way to discover a new budget buy. 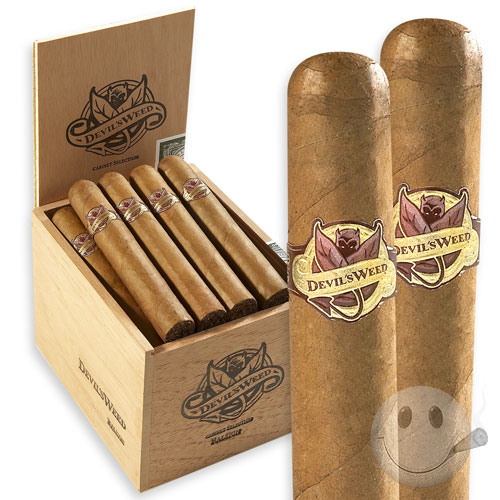 The cigar is made up of a blend on long-filler Cuban-seed tobacco grown in Dominican Republic and wrapped with dark Ecuadorian Connecticut leaf. As far as budget cigars go, this one is priced very well and seems to be quite popular. The name is catchy too! Straight from it’s appearance, I was expecting a low end hand-rolled cigar. 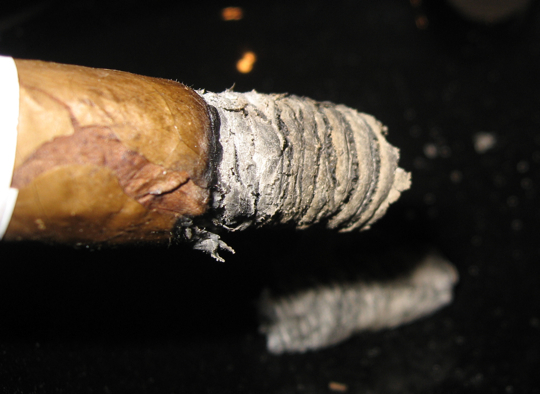 It appeared to me to possibly be a lower end Cuban for the longest time both on visual and flavors in the first half. But I won’t spoil the review here, read on and see what my thoughts were. • The latest crack is causing the wrapper not to burn properly so it’s turning a bit harsh, lets hope it recovers! 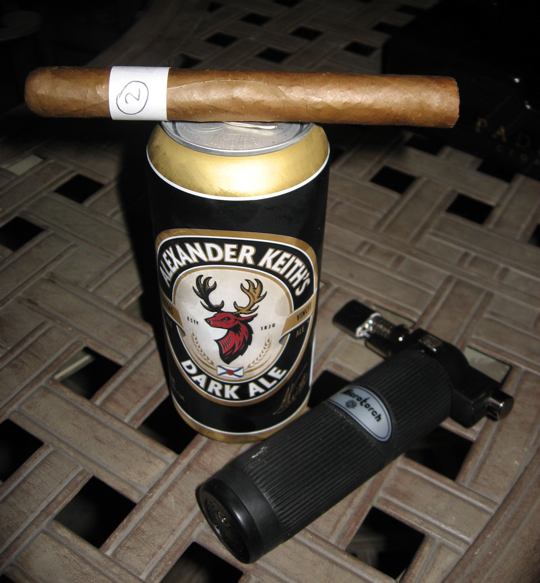 This cigar started out really well with some very nice cedar notes followed by an interesting toasted bread flavor. The crack near the band was probably caused by the firmness in that section, likely a little too much filler. It caused the wrapper to split and stop burning which always causes some bitter and harshness in my experience. 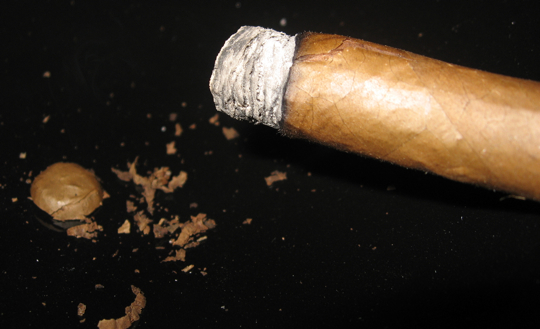 It was a good cigar overall barring the minor construction issues. I have mixed feelings here. I will definitely give these another try just to see if construction issues are always there. 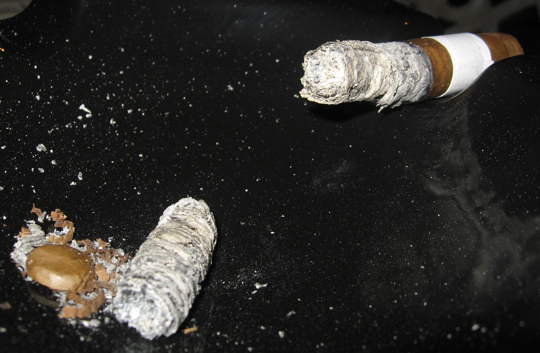 Hopefully they won’t all be like this and my thoughts are it would be a good smoke if it holds up well. I don’t know what cigar this is as I’m writing this but has anyone had one and what were their experiences? This was my first Devil’s Weed and I was more or less pleasantly surprised. As I mentioned, construction was the problem in the last half but for $1.50 you can’t really go wrong. I’m definitely going to try a few more of these. If the construction holds these would be a great stick for the price. I enjoy every brew that Alexander Keiths makes, IPA(Green), Red, White and Dark. They hail from Nova Scotia, Canada and are very popular across most of the country. The flavors on this Dark Ale are not overly complex, a very straight forward Dark Ale that has no bitterness and goes down very smooth. It has some hoppy flavors to it and a touch of dark coffee like flavors. Actually paired very well with this cigar. Other good suggestions for this one would be coffee, water or a nice IPA. Sounds like a good everyday smoke. I have your email there so maybe if a few other people here are interested I can get one set up. Even if it’s only 3 or 4 of us. So who else might be interested? I’m intrested in the blind tasting trade. How does that work, and how do I get one started? I’m always looking for a good cigar at a great price. This one sounds like a winner. I may be…. Hey D, great review. I always find these a great value. Once you get throught the first half inch or so they become great for what they are. I don’t mind if I have to throw it away, or get to nub it. Good review. Unfortunately, I believe the Devil’s Weed line is no longer produced. I also believe that Molina cigars does not exist anymore. You may be able to still purchase the Devil’s Weed from Cigar International at a very discounted rate. I would be interested in the blind review. That’s some interesting info Ed. You got me curious so I started researching a bit more. Seems the last update was in April but as of February 2010 they were still optimistic that the company would continue production eventually. So no official word that they are completely gone, and if you read the link above they mention that CI’s description of them going under is false… but who knows, we’ll have to wait and see.